A new version of Windows was released on October 26 known as Windows 8, and it has a completely different look than previous versions. The operating system is packed full of features poised to take advantage of the newest technology, including touch-screen features, social media integration, and more. However, before you just rush right out and purchase Windows 8, you may want to know a few things about the different versions available so that you buy the one that is right for you. 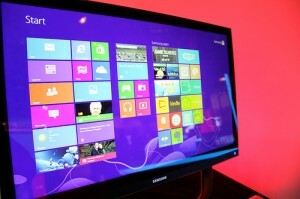 Windows 8 comes in three basic “flavors”: Windows 8 (basic), Windows 8 Pro, and Windows RT. So what’s the difference between the three? This is the basic version of the operating system that will most likely be rolled out with home and consumer level machines. The features within the OS are geared for home users, and the features are a little stripped down compared to Pro. Please note, however, that at the time of this article, the pricing and availability for Windows 8 has yet to be announced. A bit more robust than the basic version, Windows 8 Pro includes all the features of the basic version, combined with power-user features, such as BitLocker, domain join, encrypting file system, support for group policy, remote desktop hosting and more. Because of the advanced features of Pro, this version would be best for power-users, as well as office users needing extra support. Currently, this is the only full version of Windows 8 available. Loaded on tablets, Windows RT is a scaled down version of Windows 8. While it may look, feel, and share some of the same code as Windows 8, RT is scaled down, and made for mobile devices. The biggest difference with Windows RT is that it will not allow you to load or use any actual computer software on your mobile device. Instead, you can choose to install software in the form of apps from the Windows Store. However, it does come with a scaled down version of Office. RT primarily comes installed on the new Windows Surface tablet, but may become available on other mobile devices given time. In a nutshell, those are the main differences between the Windows 8 versions. Hopefully this review will help you make an informed decision by the time you are ready to upgrade to the newest version of Windows. Julie Strier is a freelance writer who likes to help you learn more about your technology options. Email:julie@mybusinesswriter.com. Website: www.mybusinesswriter.com.